How to get along with people, how to deal with violence, how to adjust to losing someone you love—All versions of a bigger question: How do you live? 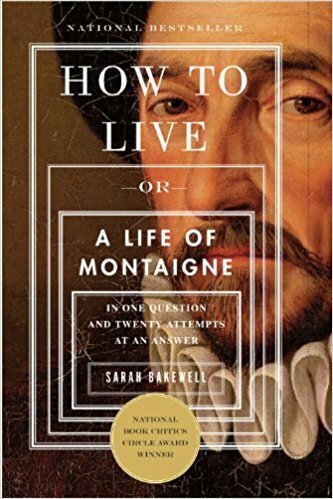 Book that introduced me to one of my new favorite thinkers: Sarah Bakewell’s How To Live: Or A Life Of Montaigne. Montaigne is one of humanities greatest treasures. If you've not read any of his essays or Sarah Bakewell's magnificent book How To Live [...] you are missing out.